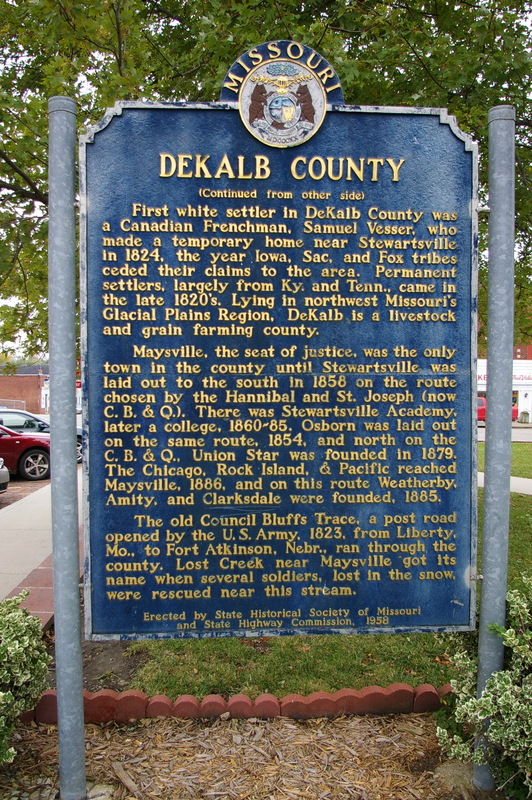 DeKalb County is named for Johann, Baron de Kalb, who was an American Revolutionary War hero and who lived from 1721 to 1780. 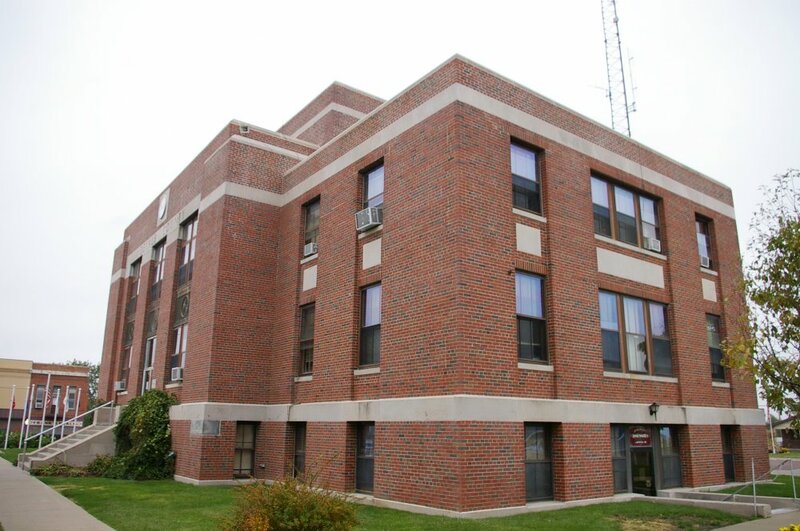 Description: The building faces south and is a two story red colored brick, stone and cement structure. 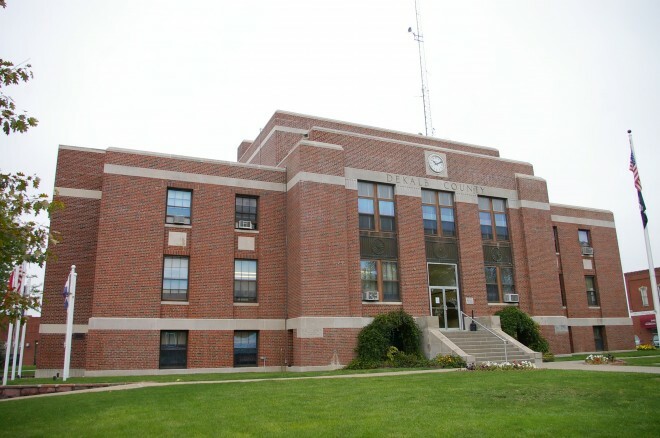 The rectangular building is 110 feet by 55 feet. 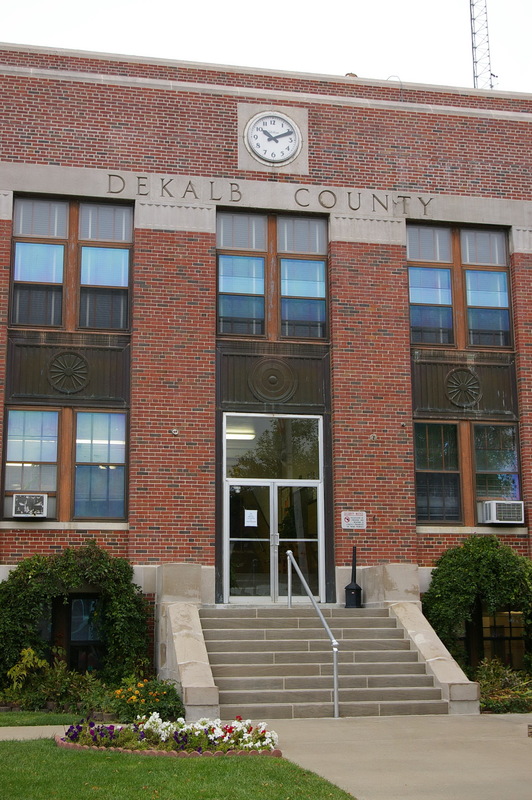 The south center section projects from the main building and has vertical windows with the center at the center of the first story and at the top is a clock. 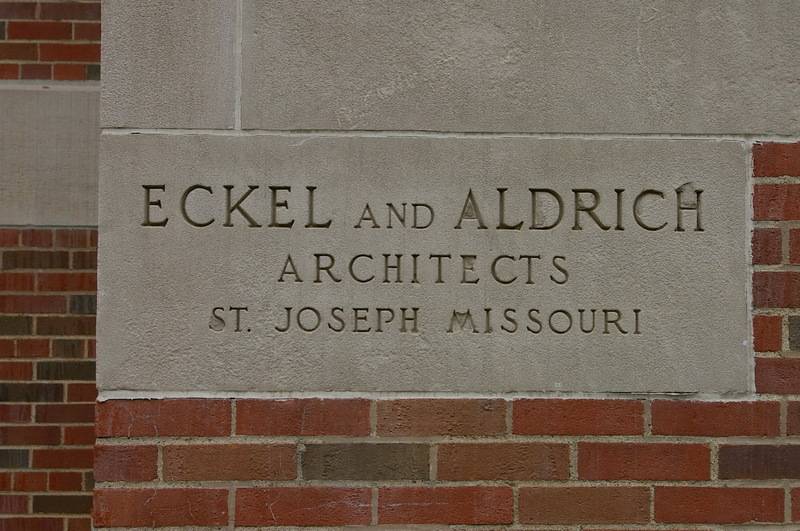 The east and west wings are lower. 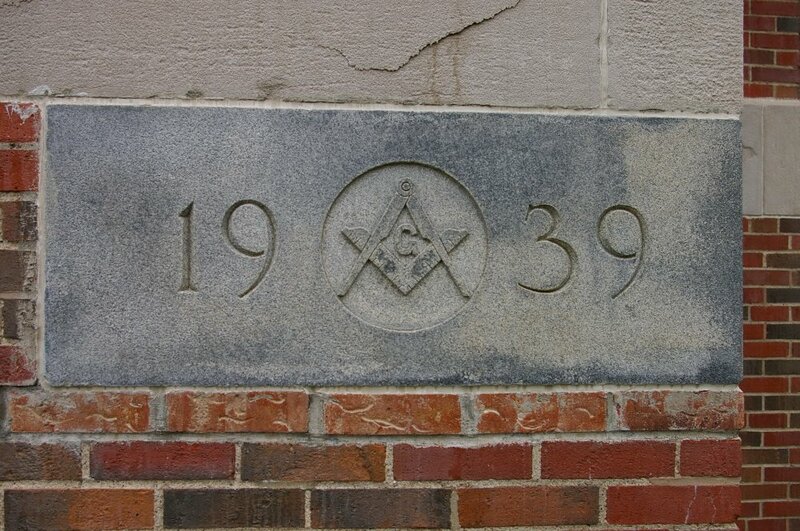 Bands of horizontal stone run below the first story windows and above the second story windows. The roof line is flat. 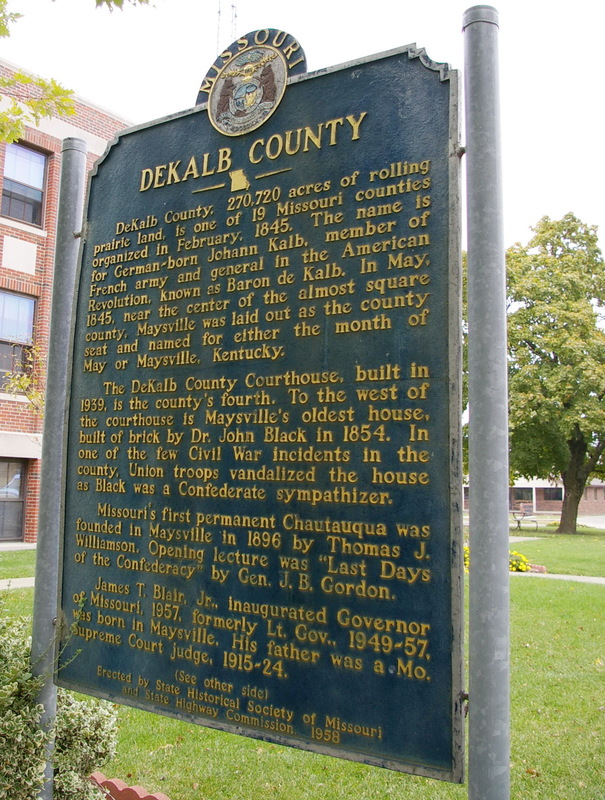 Note: The first courthouse was purchased in 1848. 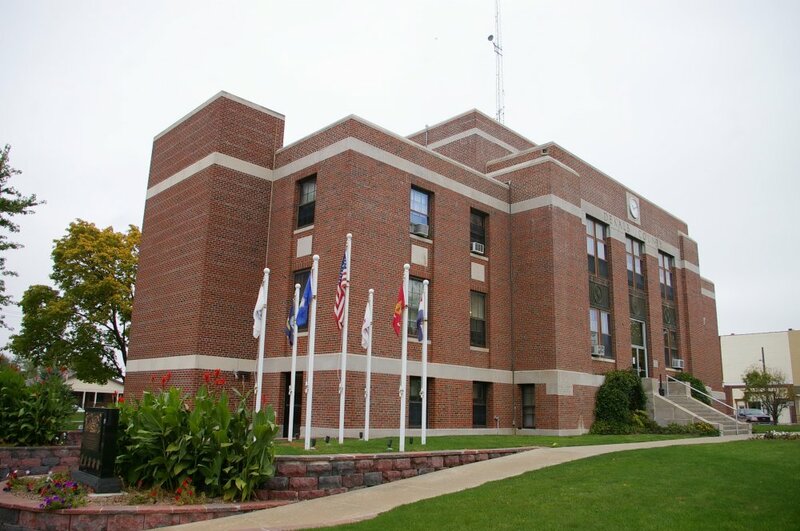 The second courthouse was designed by Abram Barger, who was the superintendent and was built by George W C McPherson in 1851 to 1852. at a cost of approximately $3,750. The building was destroyed by fire on Christmas night in 1878. 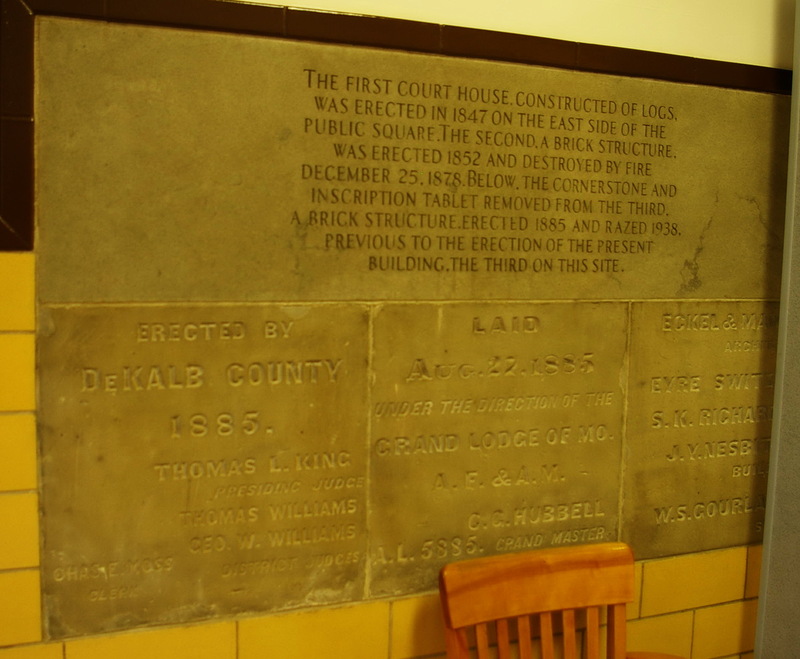 The third courthouse was designed by Edmond J Eckel and George R Mann of St. Joseph and constructed by Eyre Sitzer, S H Richards and J Y Nesbit in 1885 at a cost of $32,000. 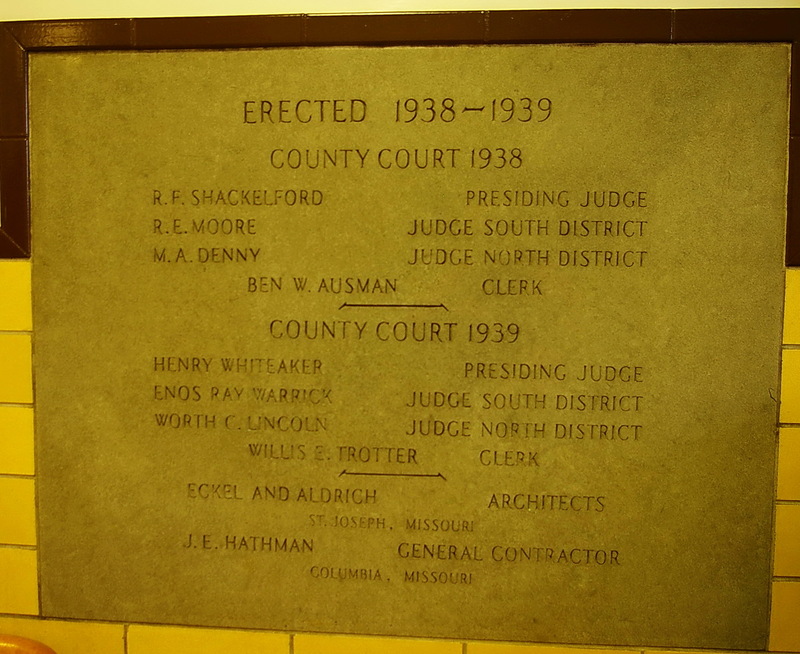 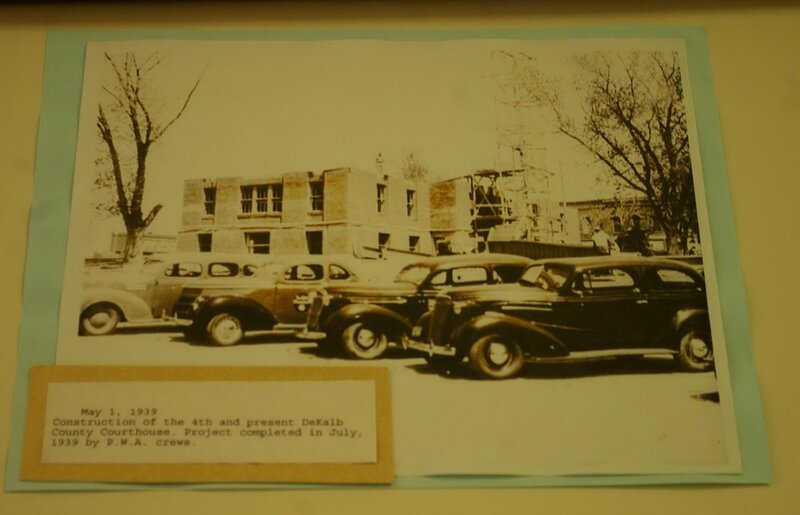 The cost of construction of the present courthouse was $59,000.